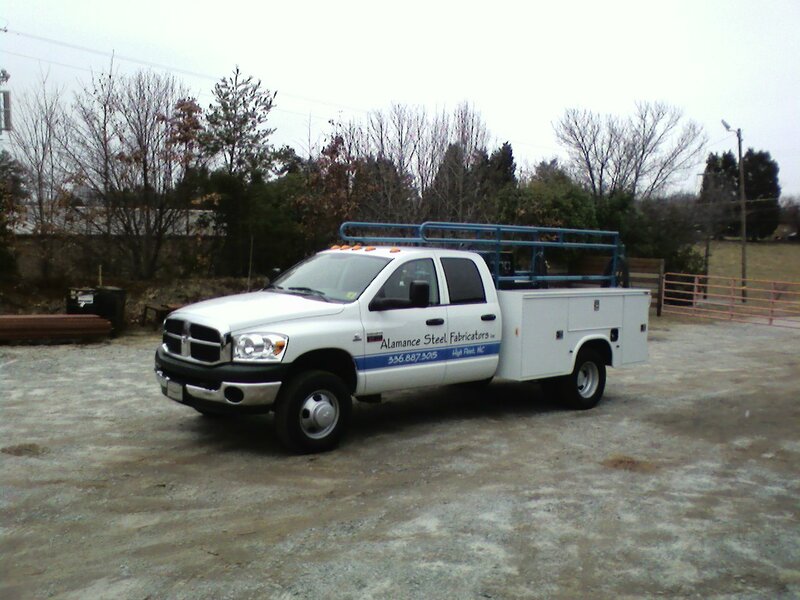 Alamance Steel Fabricators, Inc is a metal fabrication company based in Archdale, NC. With over 30 years experience in hand rails, fencing, gates, stairs, structural buildings, and miscellaneous fabrications. We are capable of producing any desired product for residential and commercial applications. Because of our desire for totally satisfied customers, every job is treated as a specialty in our shop. Great care is taken in fitting to close tolerances and dimensions to create symmetry that is pleasing to the eye. Quality is not only a catchword for us, it is the benchmark and goal of our efforts. Quality thereby refers to products, performances and service. Our customer expects quality and has the right to do so. Quality is also the basis for trusting a company and their products, we will therefore continue to try to offer you the optimum with all of our products. This is why Alamance Steel Fabricators has become a reputable company in North Carolina and surrounding states. without the expressed written consent of Alamance Steel Fabricators, Inc. Any Questions, please e-mail the webmaster.